They Became the Falling Ash can be challenging for those who are not prepared for sometimes 30 minute tracks of slow moving black doom. the opener “Look upon the Light” does not really kick in until 6 minutes of slow moving introduction. For those familiar with the pacing and structure of funeral doom, then the 60 minutes spent in an insurmountable pit should be familiar. Though the songs were more easy to navigate in previous releases, They Became the Falling Ash is an absolute treat for anyone ready or maybe not ready for the blanket of gloom. Joe Hawker is the center point for Ethereal Shroud but also other post rock / noise / ambient projects. 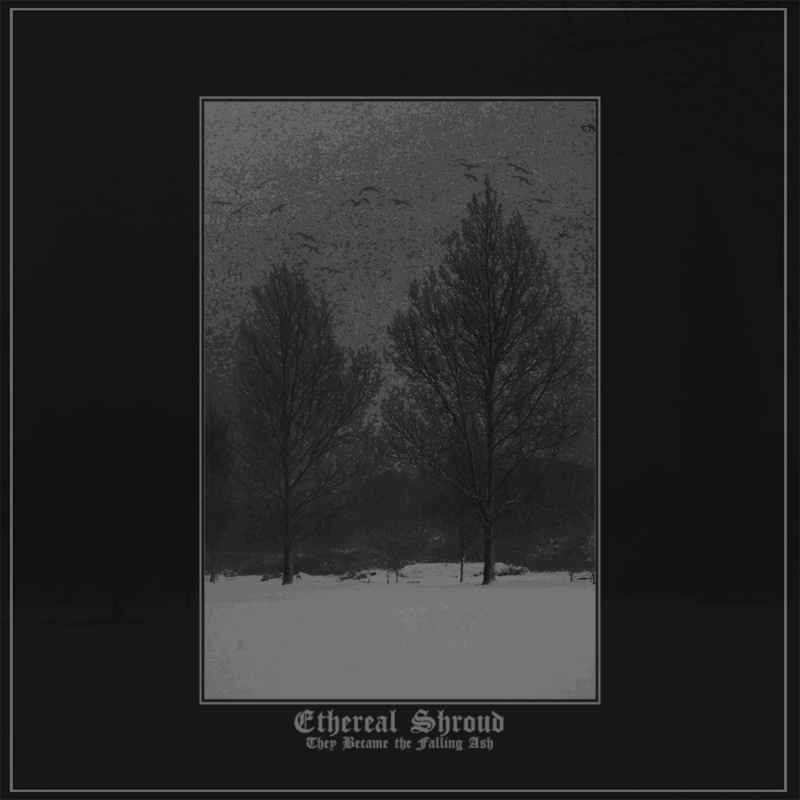 Ethereal Shroud seems to be one branch that is connected to other UK projects like Aludra and Of Solitude and Solemn. Whatever miserable inspiration has visited this creator is only for the better as They Became the Falling Ash is perfect for casting the world in a hazy fog of desperation.